Note – Terms are explained in easy words – not re-produced as it is in bare act. Capital and Current account transactions: The definitions Of Capital Account Transactions" and its counterpart 'current account transactions are contained in clauses (e) and (j) of Section 2. These transactions broadly outline the basics and whole approach of the Act. Basically these two transactions have to be understood as a concept of items relating to the profit and loss account (relating to current account transactions) and of Balance Sheet items (of those relating to capital account transactions). "A transaction which alters the assets or liabilities including contingent liabilities outside India of persons resident in India or assets or liabilities in India of person’s resident outside India would be a capital account transaction." Capital Accounts Transaction in India can be carried out only to the extent permitted because Indian Rupee is not yet fully convertible. A transaction can either classified as capital or current account transactions. Meaning of capital account transaction is different for residents and non-residents. A transaction which alters the asset or liabilities in India of non-residents falls under the category of capital account. However, as far as residents are concerned transactions which alter the contingent liabilities outside India are also capital transactions. Current account transaction is a transaction other than a capital account transaction. In other words the current account transactions are the counterpart of capital account transactions and those transactions that are capital account in nature are not current account transactions and vice-versa. 'Person' and 'Person resident in India': The definitions are drafted in a manner with wordings of similar definitions contained in the Income-tax Act, 1961. The term 'person' includes entities such as companies, firms, individuals, HUF, AOP, artificial juridical person’s agencies, offices and branches. The reason for including the agencies, offices and branches is that they do not have independent status separate from its owner. For being 'person resident in India', the person should have to reside in India in the preceding financial year for more than 182 days. Citizenship is not the criteria for determining whether or not a person is resident in India. If that person has gone out of India or who stays outside India in either case for taking up employment, or for carrying on business or vocation or for any other purpose which would indicate his intention to stay outside India for an uncertain period, he would be treated as resident outside India. From this, it is understood that this condition would apply only to individuals. It has not been specifically provided whether HUF, AOP or agencies etc., would also come within the ambit of the definition. These entities like HUF and AOP are not required to be registered or incorporated like corporate entities nor the definition can be far stretched to cover by applying the criteria of 'owned or controlled'. Repatriate to India simply means bring back foreign currency in India and conversion of same in to INR from Authorised person. Indian Currency mean currency denominate in Indian rupee and foreign currency means currency other then Indian currency. RBI can issue direction to authorised persons (explained above) for complies with all provisions of this act, rule, circular, notifications made there under. To ensure such compliance to such directions can ask for evidences to be submitted. If found any contravention or documents not submitted by authorised persons then can impose penalty upto INR 10,000 and where default of continuing nature then can impose additional penalty of INR 2000 per day till default continues. Reserve bank is also empowered to conduct the inspection at authorised person, if evidence submitted by his lead to suspicion or evidences are not submitted at all, to ensure the compliance to this act. It is duty of authorised person to provide necessary support and document which is demanded by inspection officer. Section 3; prohibit the dealing in foreign exchange unless there is authority by Act or RBI there-under. Section 4, prohibit the holding of foreign exchange, security and asset in foreign unless law provides. Sections 5 and 6 which are permitting sections, carries the provision relating to ‘Current Account Transaction’(day to day transaction) and ‘Capital Account Transaction’(transaction of investment nature or dealt with immovable properties) respectively. 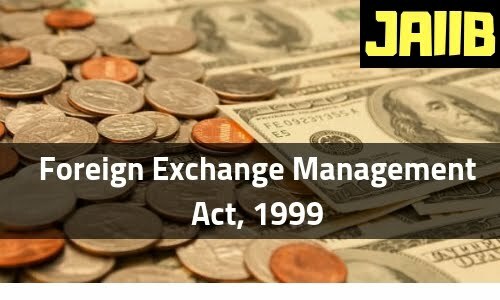 Section 8 said if person of Indian origin earn foreign exchange, he will have to repatriate it to India, and surrender the same to convert it into Indian Currency (because you can’t hold and deal in foreign exchange – Section 3 and 4), but Section 9 provide certain exemption to Section 8’s requirements. Central government is responsible for appointment of ‘director’ (may be, also additional, joint, deputy, assistant, principle, special director) and establish the ‘Directorate of Enforcement’. Such director will appoint other officer of Directorate who are below the rank of assistant director. Power and duties along- with rule of appointment, term, and remuneration will be decided by central government according to provision of act or rule there under. Officer not below the rank of assistant director can conduct investigation of contravention under this act, can exercise the power of search and seize. Central government, by notification also assign the power of these authorities (authorities under Income tax, Custom and central excise) to other officer as deem fit.